I’ve been meaning to post this for little over a month already, so I hope you subscribe to the whole ‘better late than never’ idea. Seoul based singer/songwriter IDA released her EP the seoul experiments via Bandcamp on January 1. Folkish and melancholic it makes for a good listen and also offers a possibility to hear some of her native Swedish through the track som morfar sa. Busan based electronic duo Lhasa put out an EP, that recently changed names from ///////// to ^​^​^​^​^​^​^​^​^, via Bandcamp on January 22. Each track is interesting on its own, but they are also well played as a unity with the titles throughout golden fortresses of indiscriminate size and shape. Personally I’m particularly fond of of and and. Washington based Korean-American singer/songwriter Joanne Kim sent me an email introducing me to her music at the very beginning of this month and I found it to be lovely. 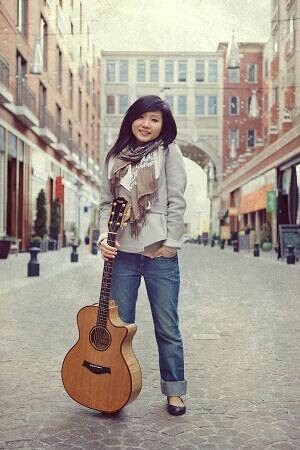 Equipped with an acoustic guitar she sings sweet and charming lyrics as can be heard through the demos posted on her website. Hear more through Joanne Kim’s YouTube channel.